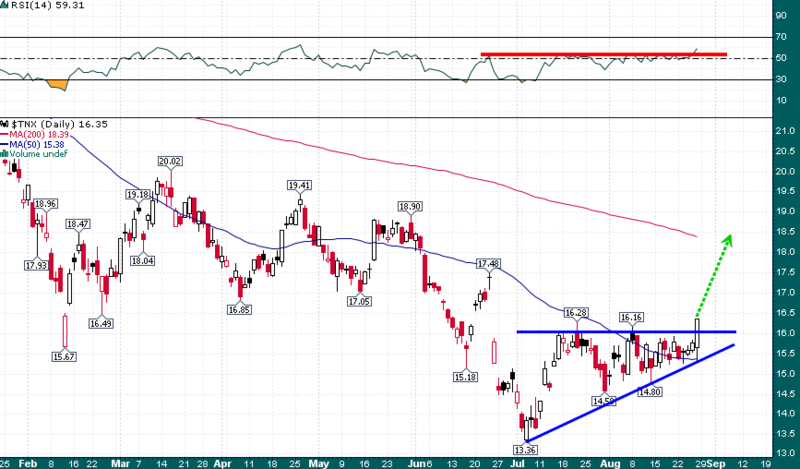 The Biggest Risk to Markets Right Now | Energy and Gold Ltd. I learned long ago to not be committed to a macro view as a market participant. Perhaps the most valuable thing to “understand” as an investor is to fully appreciate that there is a lot that “i don’t know that I don’t know.” The forces at play which affect interest rates, stock prices, precious metals etc. are vast, numerous, and always in flux. The more confident a market participant is in his prediction of the future, the harder he is likely to fall when that prediction does not come to fruition. We don’t know what we don’t know, and in the markets that can be a lot of information. Interest rates in particular are a tricky, yet integral, corner of financial markets. Central banks have a large influence in the direction of interest rates, however, rates also closely track inflation levels which are affected by economic activity and the growth rates of the economy. Let me digress before I lose you dear reader. 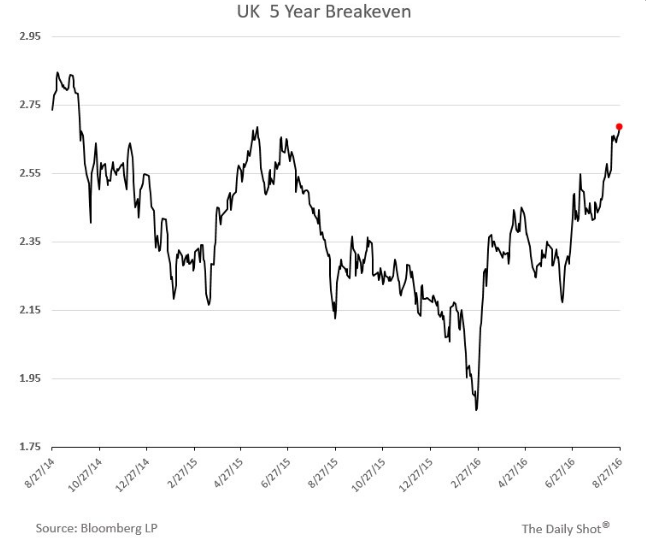 Whether we like it or not interest rates are complicated, charts can help us to simplify and get to the heart of the matter at hand in an otherwise murky topic. 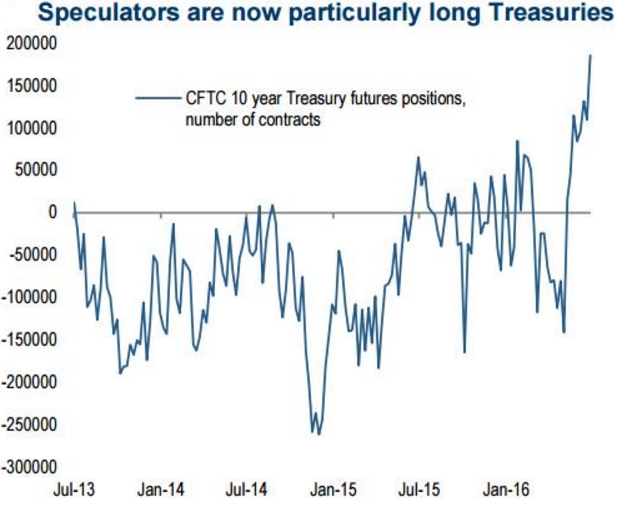 Futures speculators were heavily net long of 10-year Treasury futures heading into last week, a textbook setup for a shakeout. It has become conventional wisdom that one should sell rallies in rates because central banks will do everything to keep rates low, the economy is weak, there is no inflation etc. I have learned to view markets in terms of potential risk and reward, I am interested in asymmetric opportunities in which the potential reward is far greater than the downside risk. 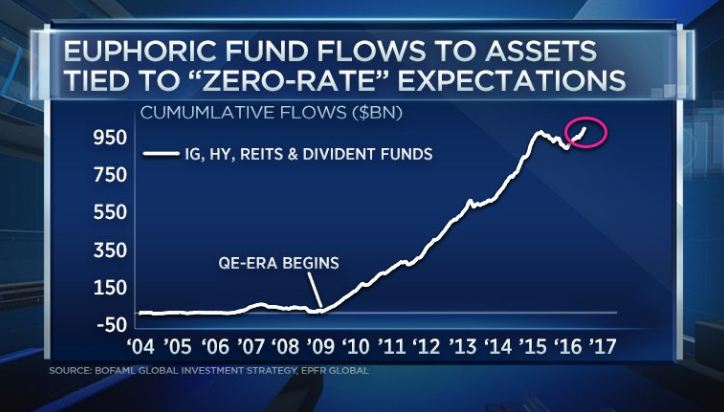 Right now the potential reward from betting on lower rates is fairly small, whereas, the biggest risk to markets is a large and rapid rise in long end rates which will generate massive and potentially uncontrolled losses for the multi-trillion dollar bet that rates will not rise anytime soon.